Brand recognition is important (just ask Coca Cola). You can have your company or product logo printed onto the front of giveaway notepads, or maybe a watermark on each page. 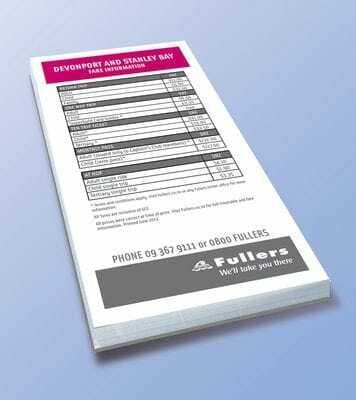 Snap offers customised notepads in a range of sizes and any colour you like. So contact us now. Why choose Snap for branded notepads? Snap's highly experienced designers will talk you through your options. You might be looking for a bolder corporate design or something more relaxed and sleek - there are endless possibilities. Fast turnaround guaranteed.